Telegram recently updated its mobile app making it possible for the users to retract the sent messages within 48 hours. 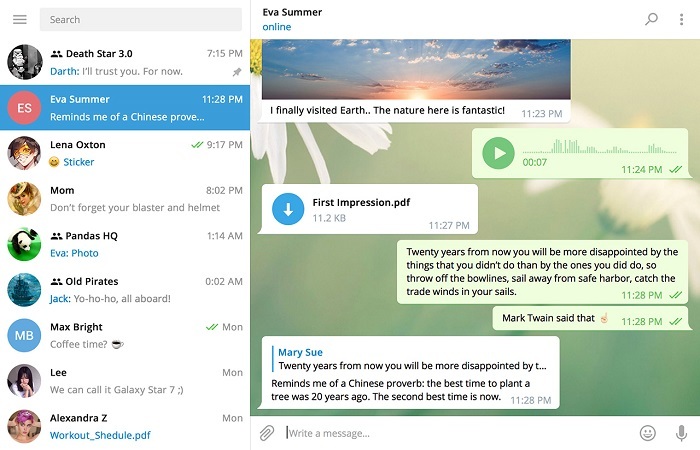 Well now, Telegram’s desktop app has reached version 1.0 and the company has updated it with material design. The UI of the desktop is based on material design and the app is available for Windows, Mac as well as Linux. 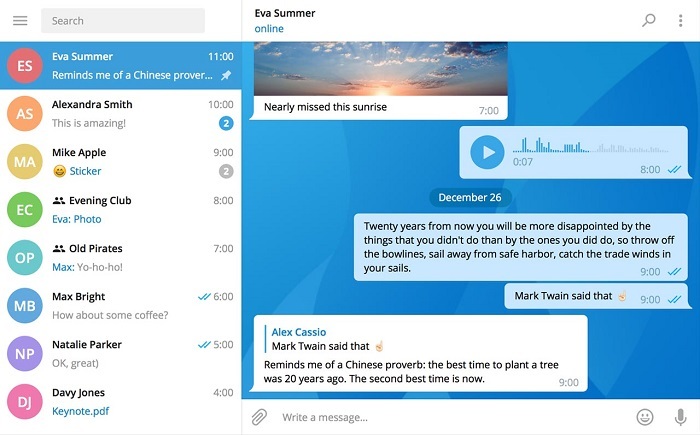 The desktop app was available since 2013 though, however, Telegram has made significant changes to version 1.0 of the app. Apart from changing the UI, the company has thrown in some smooth animations (which can be seen here) along with support for custom themes. If you don’t like the default color scheme of the app, you can switch to custom themes. Besides that, anyone can make themes for Telegram Desktop which means we can expect to see more creative themes to choose from in the coming months. 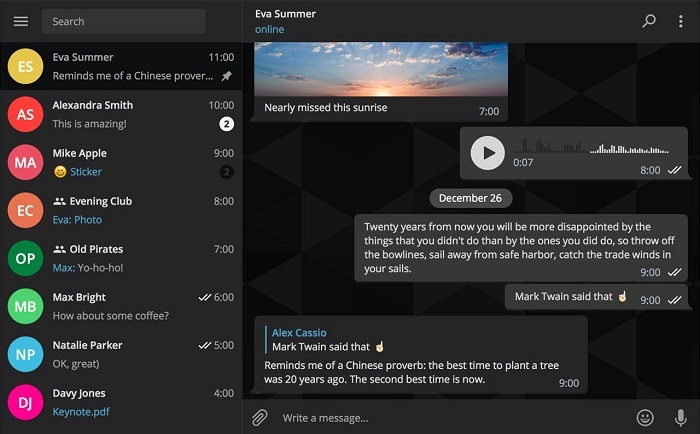 Cosmetic changes are not the only changes made to Telegram Desktop though, the app now syncs messages and media automatically between your phone and computer. Not to forget that you can start writing something on your phone and finish it from your computer and vice-versa.